One of London's newest luxury lifestyle hotels and members' clubs, The Curtain Hotel and Members Club in Shoreditch, which was brought to the capital in 2017 as a new concept by Michael Achenbaum, also of Gansevoort Hotel Group, has been sold to the Reuben Brothers. Freehold of a Luxury Shoreditch hotel and members club is bought by Reuben Brothers who have entered into a long-term agreement with the current team, led by New York hotelier Michael Achenbaum. The sale is purely transactional and no changes will be made to the management or operations of the hotel and members club; a subsidiary of Michael Achenbaum and Jeffrey Levine, the co-developers of the project, retains management of the property via a long-term lease. The lease agreement allows Reuben Brothers to benefit from additional upside through a share of the hotel's operating income. 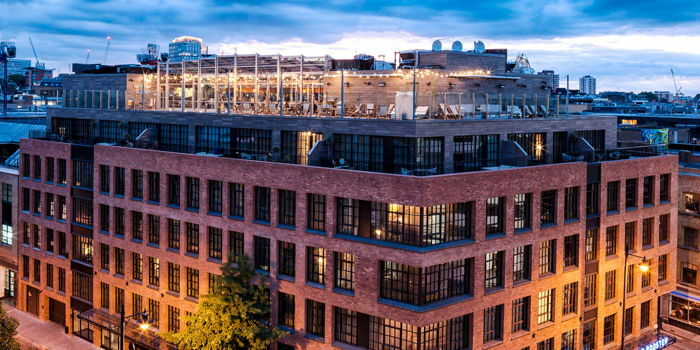 As Achenbaum did with the opening of the Gansevoort Hotel in the Meatpacking District of New York in 2004, he is instrumental in advancing Shoreditch as a creative destination with a growing luxury element. The Curtain, which opened in summer 2017, is held Freehold and comprises over 115,000 SQF (GIA) of space over six stories and 120 luxury bedrooms and suites featuring steam showers, a private members' club, a rooftop pool and restaurant overlooking the City skyline, wellness centre, live performance room as well as co-working space for members and hotel guests. It is also home to acclaimed chef Marcus Samuelsson's Red Rooster restaurant and The Green Room cocktail bar, named one of "London's Best Bars Right Now" by Conde Nast Traveller UK soon after opening in July 2018. Located on the edge of the City of London yet close to the creative heart of Shoreditch, the hotel is a stone's throw from Amazon's new UK HQ at Principal Place. The purchase follows Reuben Brothers' acquisition earlier this month of 47,48, & 49-50 Poland Street in Soho. The site benefits from planning consent by Westminster for redevelopment into a hotel with restaurant and bar space consisting of over 74,000 sq ft GIA over two basement levels, ground and six upper floors. The transaction is the latest in a raft of property purchases this year which has included the grade II-listed Burlington Arcade on Piccadilly and 69-70 Pall Mall. Reuben Brothers also own a portfolio of hotels across the UK, including the Lingfield Park Marriott Hotel & Country Club with its 18 hole golf course, and is scheduled to open a 154-room Hilton Garden Inn with hospitality suite for around 400 guests at Doncaster Racecourse later this year. Reuben Brothers remain the largest shareholder in Belmond, the NYSE listed global luxury hotel group. Michael Achenbaum commented "The decision to sell the freehold was prompted by several unsolicited approaches. However, our long term operating lease demonstrates our commitment to this exciting business which has received critical acclaim. We are delighted to be aligning with the Reuben Brothers who are experienced long-term investors and incredibly supportive of the diverse social elements of The Curtain. The sale of the freehold will act as a catalyst for us to develop sister properties in different international locations." Patrick Brennan of FairValue Capital advised the buyer and Jonathan Hubbard of Cushman & Wakefield represented the seller in the transaction.